I have a few kids that are having a hard time pulling themselves togther when things get tough. Sometimes they cry, bang their fists, crumple paper, yell, push books off their desks, etc. It can be scary for them, their teachers, and their peers. It is important to help students recognize their stressors and triggers, and understand the point they need to self-interevene as they find themselves losing control. 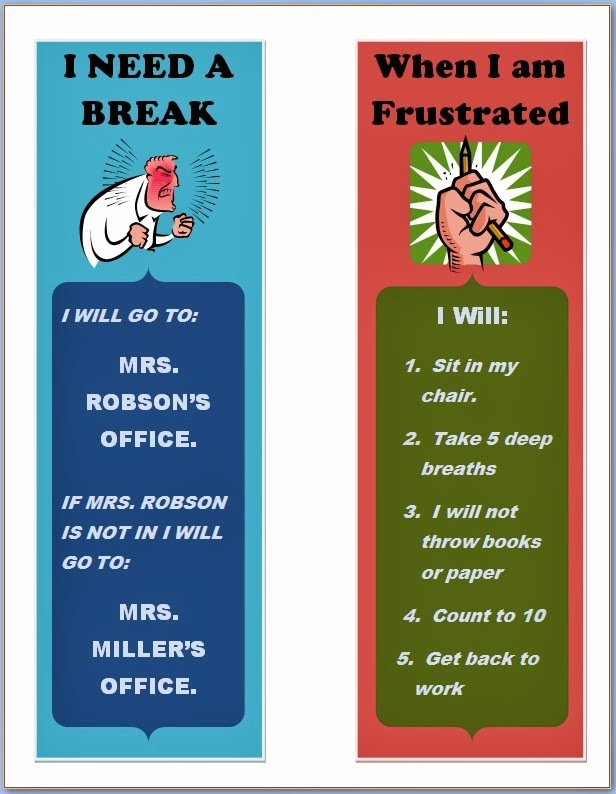 We let students know that is ok to take a break when they feel themselves losing control and allow time for calming down. 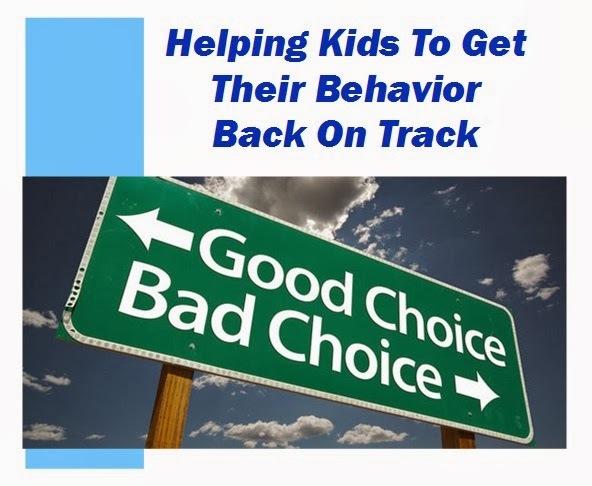 It's also important for helping them to understand what "tools" they can try to fix the situation before imediately running away from the classroom. Different students will have different strategies that work best for them. 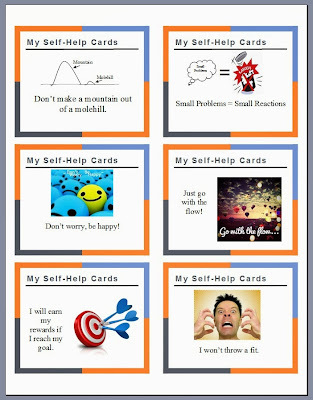 I have one student that Imade these self help cards for. When he feels that he is losing control, or if his teacher's think that he is getting angry or frustrated, he will be asked to pull out his cards. These are each cut apart, laminated and hang on a ring so they can be flipped through. The sayings are the self-talk that he feels helps the most. For him, flipping through the cards is helpful. 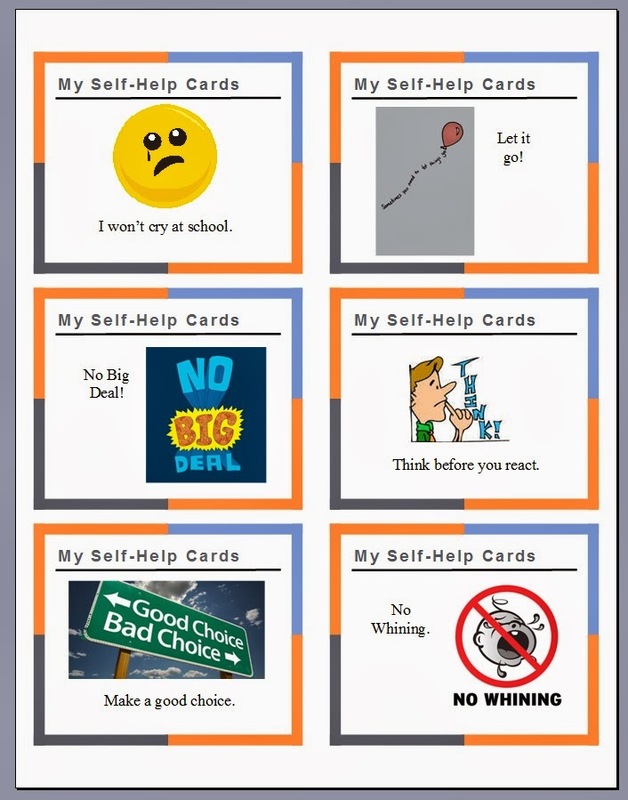 I have another student that uses these cards. Once again the cards are laminated. This time, however, we have 3 hole punched them and they sit in the beginning of his binder. Here is another example. This card we fold in half. 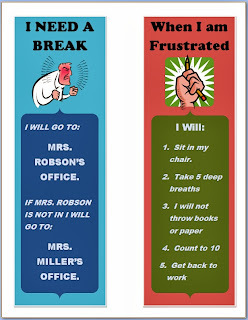 The front is the reminder of what to do when he is feeling frustrated, and the flip side is a break needed pass. These are also laminated and put in the from of a binder. The binder can be left open to the break needed side if the student feels he needs to leave the room. Leaving the cards in the binder allows the student to have a visual reminder when needed, but also allows the student to be discrete. I can't wait to use them! Thanks! Could you send me a blank template? I would love to adapt these to for some other kids I see with some specific strategies.